Need pick up truck or van with no seats to transport. Has mesh sides all around for visibility. 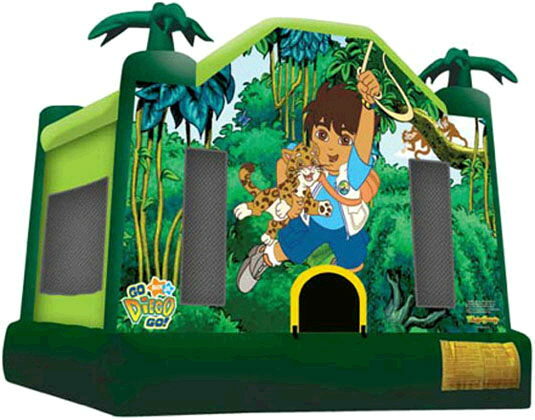 * Please call us for any questions on our moonwalk go diego go 12x13x13 foot tall rentals in Ft. Wayne IN, Warsaw, Syracuse, Auburn, South Bend, Indianapolis IN.